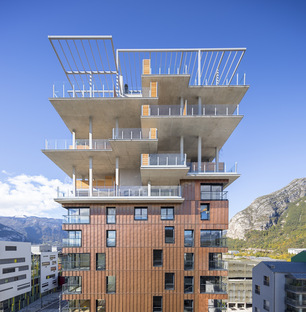 The architect, Edouard François has designed a residential tower in Grenoble, France that unites beauty, sustainability and social justice with a revolutionary approach that places the relevant outdoor spaces on the upper floors. 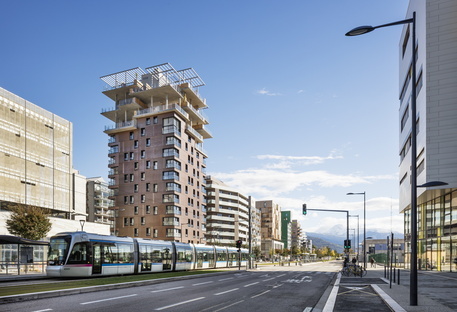 A “green cloud” is how French architect, Edouard François, famous for his sustainable projects, describes the top floors of Panache, the new residential tower and landmark in Grenoble, France that sets up an interesting connection with the nearby mountains and with the city. 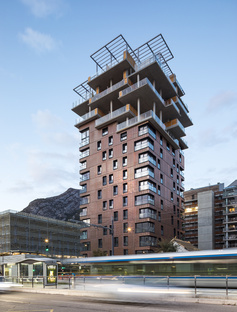 The interesting thing about these top floors is that they are the outdoor add-ons for the residential units in the tower and stem from a reflection about the city that proactively reduces the tower's impact and improves its energy performance. 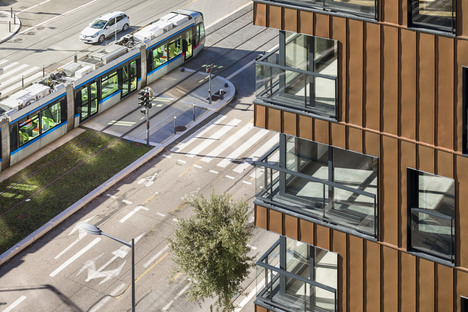 Something very important in a city like Grenoble where summers are hot and winters are very cold. 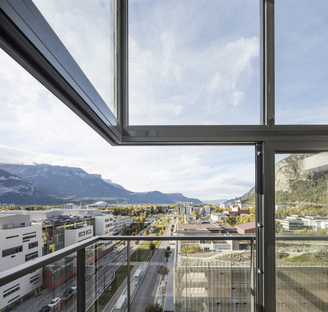 One of the main causes of heat loss are the thermal bridges that are created at openings like windows and balconies. 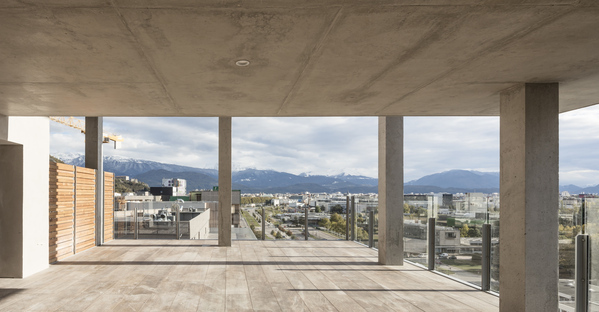 So the design team from Maison Edouard François decided on a drastic design solution and eliminated the balconies. However, they still guaranteed an outdoor area for the residents, in the first place positioning the apartments so they had at least two different orientations for each unit. 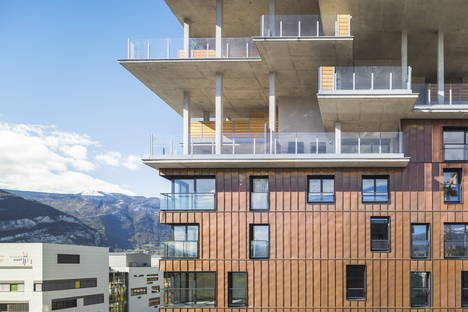 So they separated the outdoor balcony function from the living function: the terraces, each one 35 m2 are stacked on different levels of the roof, creating a pattern that is reminiscent of the green tuft of a pineapple. 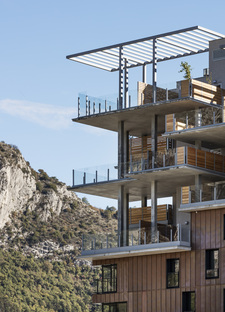 Residents can take the lift up to these add-on terraces, sold independently almost like a second home. 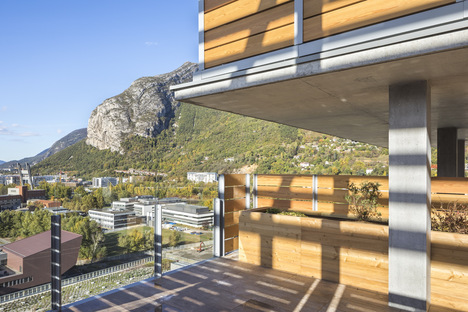 They are equipped with a summer kitchen and even sanitary facilities so the occupants don't need to go up and down all the time - they can just enjoy the good weather and engage with the delightful views of the city and the Belledonne mountain chain. 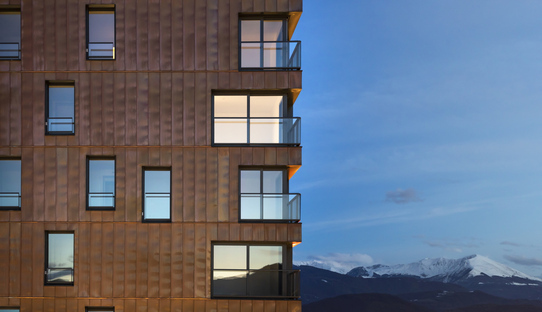 But the idea of sustainability that Edouard François applies through his bioclimatic design, which embraces insulation, the use of daylight and natural ventilation and rainwater collection, also extends to social questions because he decided to cut through the classic distinction between the upper noble floors and the less prestigious bottom floors. He did this in agreement with the client with an approach that is as simple as it is effective. “So the last shall be first, and the first last” (Matthew 20:16) in the New Testament, so the highest apartment has the lowest terrace and the lowest apartment has the highest terrace. A kind of compensation that aims at the total wellbeing of the occupants of the apartments. 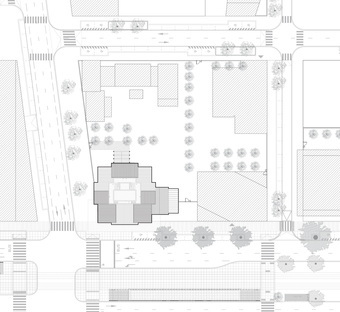 The project for the Panache tower is added to a broader residential building programme (ZAC) where Maison Edouard François is also working on another two proposals, in order to craft a real city block. 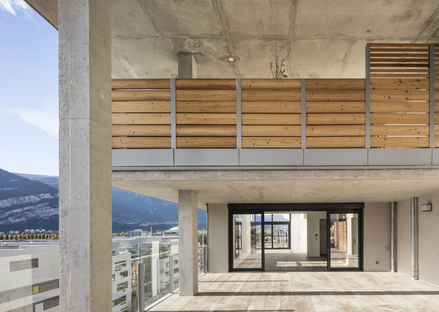 This scale of action means the architect can extend his ideas out into the neighbourhood, adding a kind of architectural folly, a small alpine chalet housing an alternative programme with a barbecue, shared summer kitchen and a guest apartment. 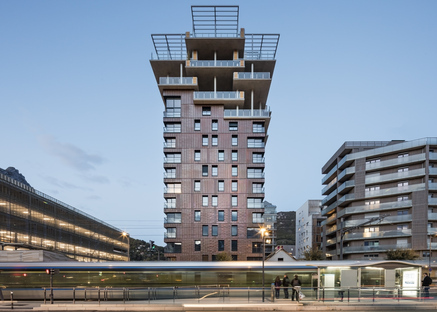 These tower spin-off elements improve the ties with the surroundings and the landscape and give the still-developing neighbourhood a sense of civic pride. Because if you want to create a true community you have to provide the means for it to grow through the sharing and engagement of citizens.